Here are three more items that I should pass on for those who will use them. The price includes U.S. shipping. Paypal is fine. No trades, please. Thanks. 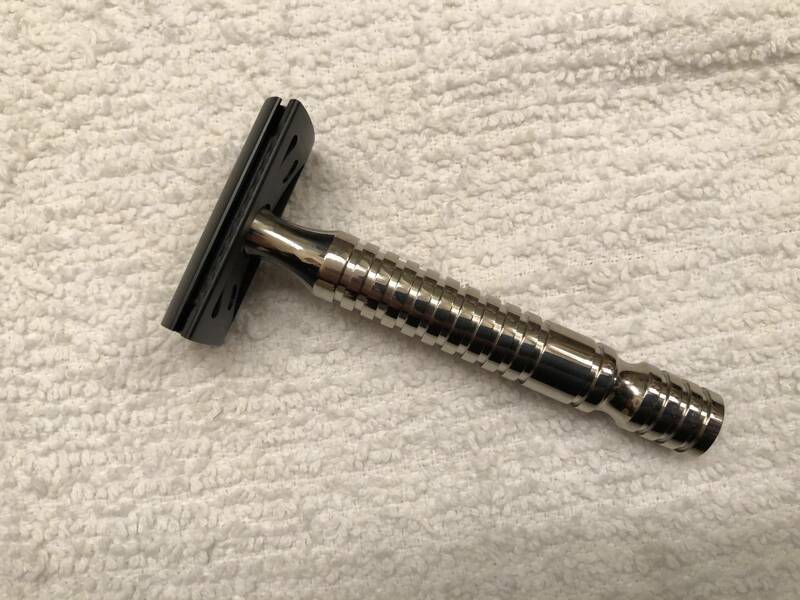 I have not used this RazoRock MJ 90. So it's been sitting in the rack and making faces at me. It comes with both plates. It's in mint condition. 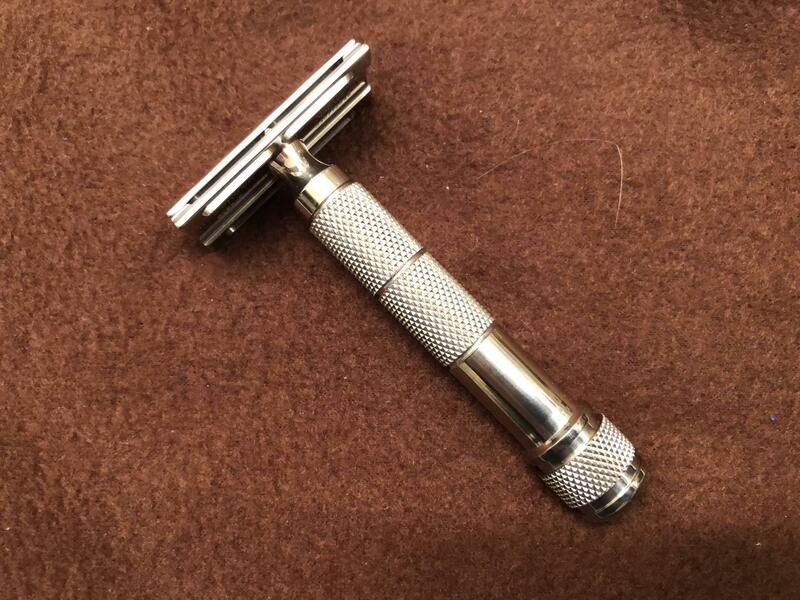 New, the razor is priced at $39.90. Your price is $30. The Game Changer has sold. The MJ90 and the two brushes are still available. The MJ90 razor is sold. The two sweet brushes remain. 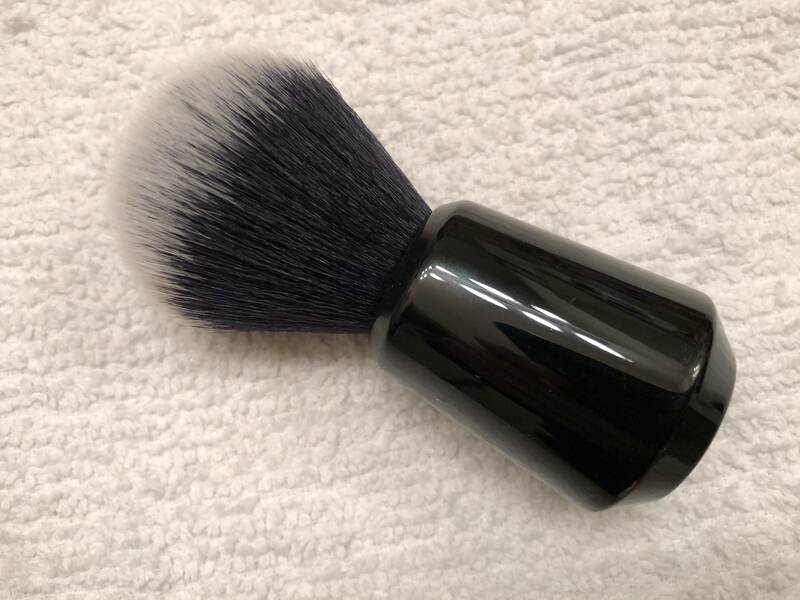 The OneBlade brush is sold. The only item left is the Vie-Long synthetic brush. 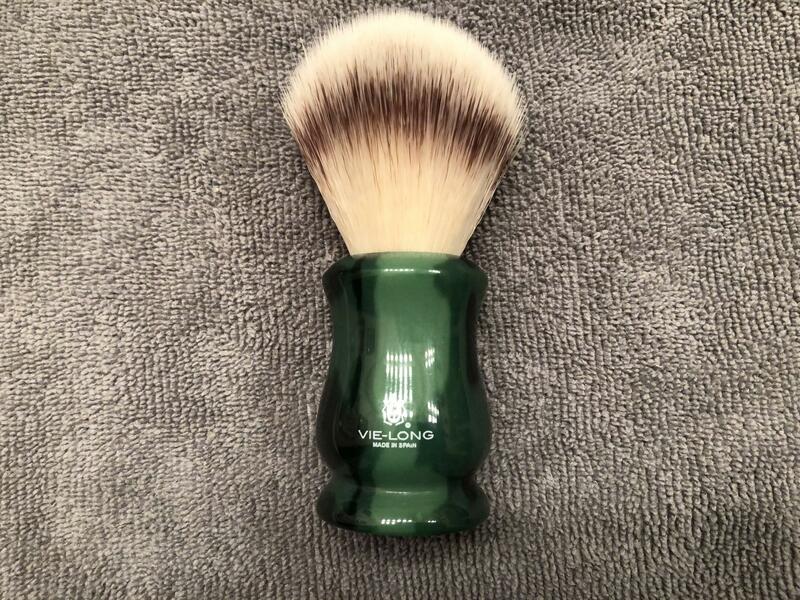 That's a sweet brush, and quite handsome in the jade color handle — which reminds me of the movie Romancing the Stone. You certainly can't beat the price. Thanks.